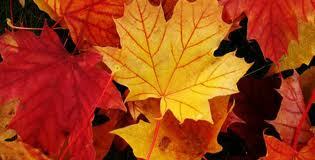 Today is day 5 of Neely & Amber's Fabulous Fall Blog Challenge! I love when the leaves change. The red is my favorite. 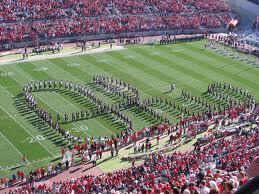 My hubby is taking me to an OSU (Ohio State Buckeyes) game next weekend. I've only been to one other game and I was pregnant with Oliver. Booo no beer while tailgating. Then to top it off I was nauseous and the seating was cramped and there was a butthead behind me who kept pushing me because he was too drunk to realize he was practically knocking down a pregnant girl. Yes, I realize I already had my baby. BUT, my SIL is pregnant too (with her first baby) and is due October 14th! I can NOT wait to be an aunt. I am so super excited!!! It was really neat being pregnant together. Sharing our excitement and complaining together. More baking! I love to bake. Especially this time of year, especially pumpkin. This is where I would share my favorite fall recipe, however, you will just have to wait till next week. I need to come up with more stuff to look forward to. With a newborn baby we will be taking it easy for the most part. I want to go to the apple orchard and pumpkin patch. If we can accomplish that, I'll be happy. Now, if only the weather would cooperate. It rains a lot here in the fall, hence no apple-picking this Saturday.